Are you looking for the best WordPress SEO plugins and tools to boost your site’s search ranking? Search Engine Optimization (SEO) is the process of optimizing your site’s presence on organic search engine results to increase traffic to your site. With the right set of SEO plugins and tools for your WordPress website, you can improve your SEO ranking and skyrocket your site’s overall success. In this article, we’ll share the 15 best WordPress SEO plugins and tools to enhance your site’s SEO. Website analytics are important for making better business decisions, creating marketing strategies, and improving your site’s SEO. Google Analytics is the most widely-used analytics tool on the market; however, it’s a bit tricky to implement. That’s when MonsterInsights comes in handy for WordPress users. It’s the most user-friendly, most powerful Google Analytics plugin for WordPress. The plugin allows you to connect your WordPress site with Google Analytics and track your important website data easily. For more details, see our guide on 6 important Google Analytics reports for improving SEO. Yoast SEO is the most popular WordPress SEO plugin available on the market, and for a good reason. The plugin provides you with a massive range of SEO features and options to optimize your site for search engines as well as for your site’s visitors. It helps you create better content overall with its Content and SEO analysis feature. It checks every piece of content you write and shows you how it looks from SEO and readability points of view. Meaning, it not only keeps the search engine bots happy but your human readers as well! Additionally, it has several other exciting features like cornerstone content, internal linking, multiple focus keywords, Google Search Console integration, and much more. SEMrush is a powerful SEO and marketing tool, and a favorite among SEO professionals. It comes with a full set of features to enable you to supercharge your site’s SEO, content marketing, social media, and paid traffic. This premium service lets you analyze keywords for search volume so you can know which keywords to add to your content, and which keywords to bid on if you use Google AdWords. Plus, it lets you search other URLs, such as your competition’s, so you can see which keywords they rank highest for so you can determine how to outrank them. For example, you can build better marketing plans to reach out to your target audience. Sometimes, you can even borrow the best strategies they’re using. Using the right keywords on your website to attract your ideal target audience will not only help you with search result rankings, it’ll help you grow your business and establish loyal followers. Ahrefs is one of the most popular SEO tools used by SEO experts and business owners. It allows you to view your site’s SEO performance as well as your competitor sites’ SEO performance and strategies. With these insights, you can learn what you need to do to outrank your competitors. Using Ahrefs, you can see detailed organic search reports, including your top organic keywords, their position in the search results, rank movement over time, competing pages, etc. Similarly, it has advanced backlink research options that allow you to see the full backlink profile for any site. You can see updated backlinks every 15 minutes, anchor text for the backlinks, referring pages, etc. There’re more options for keyword research, content research, rank tracking, web monitoring, etc. in Ahrefs. It’s a great tool to boost your site’s SEO. 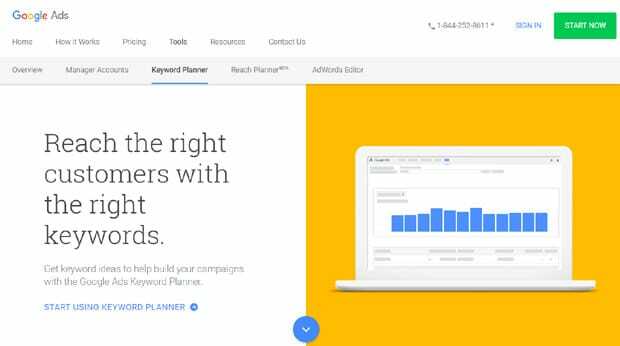 Google Keyword Planner is a powerful tool designed for Adwords advertisers to find the keywords with the most value for their sites. However, it has a lot of SEO value to offer as well. You can use this tool to find new keywords for your business. You can enter words, phrases, or a URL related to your business and start your search. Then, you’ll see the top keywords with average monthly searches on Google. Plus, you can see bidding amounts and competition levels. Although bidding value is designed for advertisers, you can learn a lot about keywords from it. It’s a free tool offered by Google. Thus, you can be precise about the keywords’ search volume, advertiser interest, competition, etc. without having to spend a dime. It’s a great tool to improve your keyword research. Get started with Google Keyword Planner today! 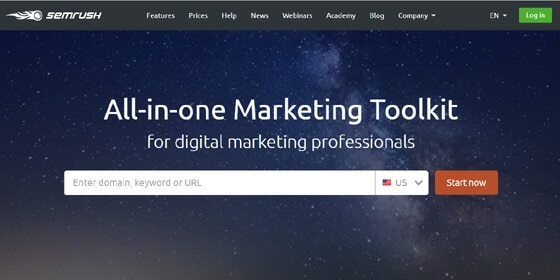 Just as its name implies, KeywordTool.io is a popular keyword research tool for SEO professionals. It’s a free tool you can use without creating an account. You can subscribe to its premium version for more advanced features if needed. The tool uses Google’s auto-suggest feature to gather keywords. The search terms suggested by Google are selected based on how often users were searching for that particular term on Google. With its free version, you can see up to 750 keyword suggestions for every search. You can search keywords for different search channels like Google, YouTube, Bing, Amazon, etc. separately and also narrow the search by specific locations or languages. Get started with KeywordTool.io today! If you’re not using the free and powerful Google Search Console tool, you’re missing out on vital data that can help you with your search result rankings. Better yet, you can view your Search Console Report right in your WordPress dashboard using MonsterInsights. Find out your site’s top Google search terms along with clicks, impressions, CTR, and average search result position. Get started with Search Console today! For details, see our guide on how to connect your WordPress site with Google Search Console. 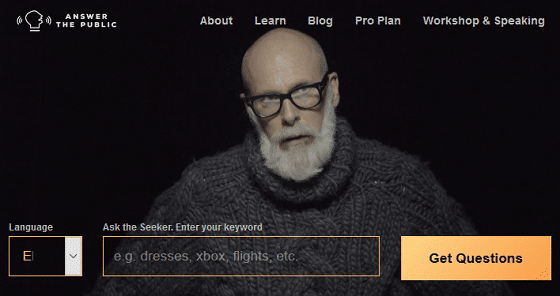 Link Explorer is a powerful SEO tool created by Moz. It’s a great link building tool that includes features for link analysis and SEO research. With this tool, you can see discovered and lost links, domain authority over time, competitor’s analysis, spam score for penalized sites, link tracking, and more for any domain. You can compare the results and plan better SEO strategies. Besides, it has an easy-to-use Compare Link Profiles option to allow you to compare and analyze better. You can search up to 10 queries every month with a free Moz account. To unlock full access and features, you’ll need to subscribe to Moz Pro. Get started with Link Explorer today! 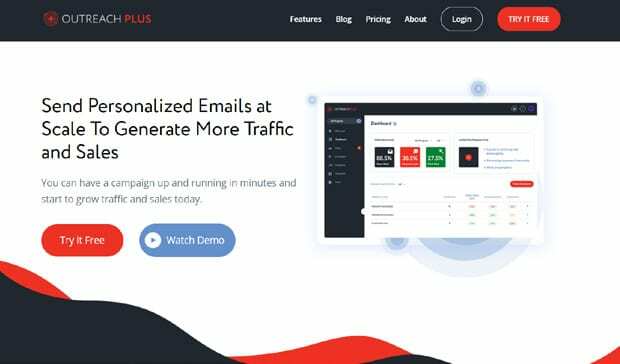 OutreachPlus is an excellent email outreach software useful for marketers and SEO experts. It helps you send personalized emails to your prospective partners and customers to earn more traffic and backlinks. You can reach out to influencers to assist you in growing your business. In addition to personalization, it has smart automation features which save a lot of time and also maintain follow-ups. It detects user behavior like email opens, email replies, links clicked, and triggers personalized emails instantly based on users’ behavior. To ensure that your emails are delivered safely, it has an inbuilt email client. Also, it has a simple Inbox to help you manage your emails, track interactions, process responses quickly, and get multiple members involved. Get started with OutreachPlus today! Broken Link Checker is a free WordPress SEO plugin that checks your site content for broken links and helps you fix them. As you create more and more content every day, you rarely have time to review your old posts. That’s where this plugin comes handy. It checks your entire archive of published content and notifies you about broken links and lost images. Broken links create a terrible impression among your site visitors and also harms your site’s SEO. Hence, this plugin is perfect for keeping your site content updated and fresh. However, the plugin can sometimes slow down your site as it’s resource intensive. Get started with Broken Link Checker today! 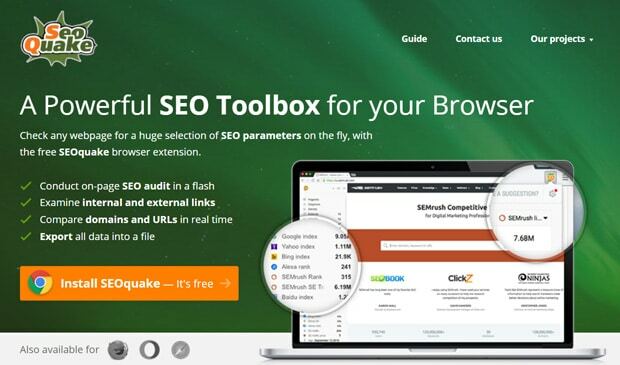 SEOquake is a browser addon designed to help you get SEO insights with a simple mouse click. You can install the addon to Google Chrome, Mozilla Firefox, and Safari browsers to see a vast selection of SEO parameters for any webpage. With this tool, you can quickly conduct an on-page SEO audit, which allows you to identify and fix various optimization issues. It has a link examiner tool which shows you details for both internal and external links on any webpage. 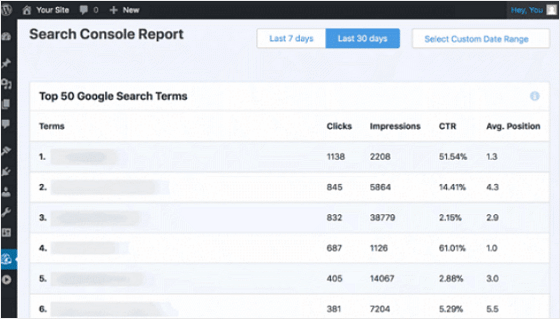 Plus, it allows you to see page rank, age, last updated date, Alexa rank, and much more. It’s a tiny-yet-handy tool for quick SEO performance overview and optimization. Get started with SEOquake today! Site loading time plays a significant role in how well your website ranks in search results. Slow loading times affect the user experience and can increase your site’s bounce rate. Using Google PageSpeed Insights, all you have to do is enter your site’s URL and see just how fast your web pages load. If there are any issues with your site’s speed or performance, this online tool will give you suggestions. Get started with PageSpeed Insights! WP Rocket is the best WordPress caching plugin on the market. The plugin allows you to cache your site instantly and boost your website’s performance. As speed is a key ranking factor, a caching plugin is a must have plugin. WP Rocket comes with powerful features like gzip compression, page cache, and cache pre-loading. You can also turn on lazy loading images, CDN support, DNS pre-fetching, and more to further improve page load times. Get started with WP Rocket today! TinyPng is a free online tool that’ll help you optimize your site’s images for faster loading speeds, without sacrificing image quality. All you have to do is drag and drop the images you want to optimize, download them all at once if you want, and save them. And the great part is, you can compress PNGs or JPEGs up to 5MB in size. Get started with TinyPNG today! Another great free online tool that’ll help you create SEO optimized content is Answer the Public. Enter the keyword you’re thinking of using and in return get a bunch of possible search queries people might enter into search engines such as Google, Bing, and Yahoo. You can use these longtail keywords as LSI keywords throughout your content to ensure proper site indexing. Your website will then show up in search results where it should, and attract people to your site who are genuinely interested in what you have to offer. Get started with Answer the Public today! We hope this article helped you find the best WordPress SEO plugins and tools to improve your website’s SEO. You may also like to see our list of the best WooCommerce SEO tips to boost your traffic and sales.